Faster to make than pepper-poppers, and with more fat than our Chicken Pepper Bites these savory keto jalapeno pepper fat bombs are a snap to make and a treat to eat. 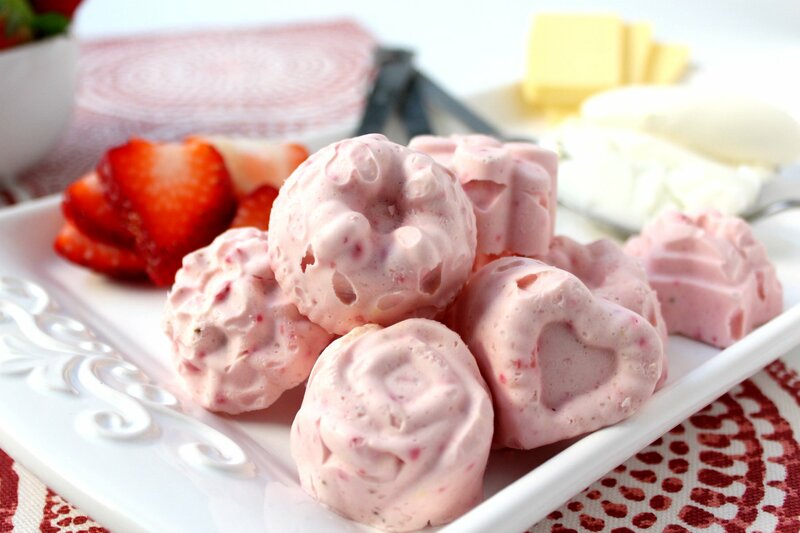 To increase the healthy probiotics, drip yogurt cheese like we did in the Strawberry Cheesecake Fat Bombs, or use organic cultured cream cheese from the dairy section of your local health food store. Why Fat Bombs? Click here to read why you want to include more fat in your diet. 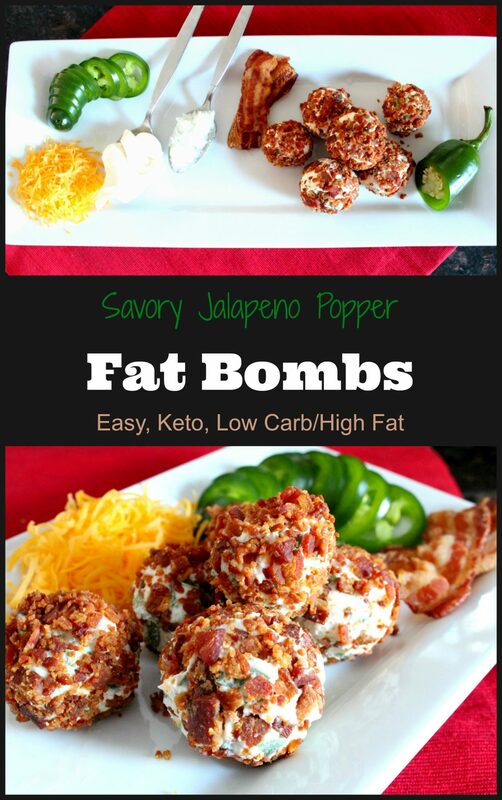 Savory fat bombs for those who need to increase their intake of healthy fat. We use coconut oilhere because I like including the medium-chain fatty acids in our diets. The pepper and cheese covers the slight coconut taste, but feel free to use butter in its place. How is this part of a healthy diet?Read here about how healthy fats create healthy people! Melt coconut oil if it is in solid state. Cook bacon over medium heat in a medium skillet. Tip: You can make 'bacon crackers' by cutting bacon into squares and then cooking- the fat bombs can then be served on top of these, or between these. Dice Jalapeno peppers finely after removing stems and rinsing out seeds. Combine cream cheese, cheddar cheese, diced Jalapeno, bacon grease, and melted coconut oil. Do not include the cooked bacon in this step or it will become soggy. Press cream cheese mixture into a parchment-lined loaf pan and chill for 2-3 hours. Set bacon pieces aside for serving. Once cream cheese mixture is firm, remove from loaf pan and cut into 18 equal pieces. 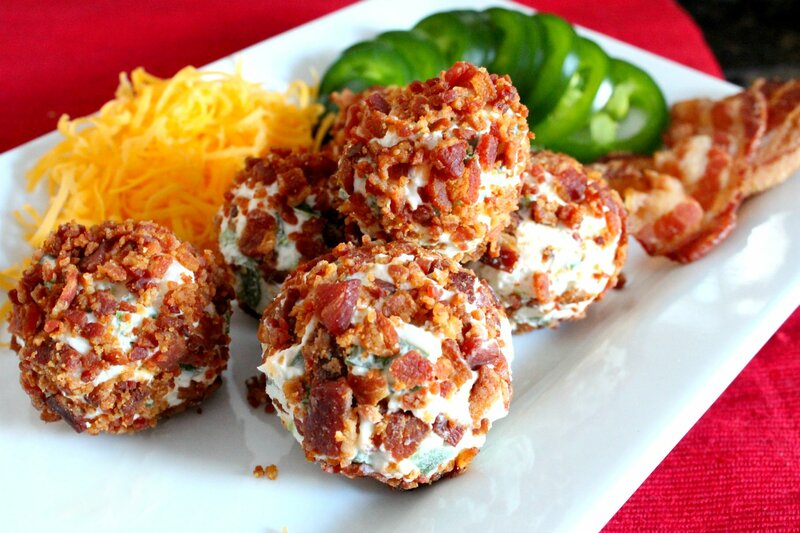 Gently roll into balls and roll balls into crumbled bacon as desired. Enjoy immediately or store before covering in bacon in the fridge for 5 days or in the freezer for up to 4 weeks. Nutrition data uses packaged cream cheese as homemade yogurt cheese will vary based on the kind of milk used and other factors. Nutrition data uses weight measurements, volume measurements are approximate. I can’t wait to try these! How do I know if the coconut oil that I have is expeller-pressed? Should it say on the jar? These look awesome! My keto hubby will love them now and I hope to enjoy them when I can eat dairy again. How many calories per serving? My.macro calculator is putting it around 1200 calories…… thank you!